How did it happen? 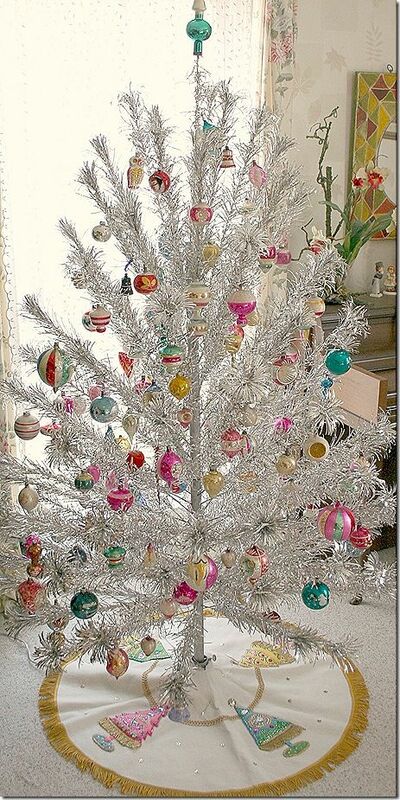 Christmas is a traditional time of green, ivy, berries and candy sticks….yet when I look at this tinsel monstrosity from the 70’s..and my heart sings! Oh fickle fashion..when will I understand? You a “bling” girl nothing you can do about that. I don’t think Christmas is a time for fashion. My tree is covered In the tackiest collection of oddments ever but I love it because each one has a story. These vintage baubles are beautiful! I thought it was your tree this year and was going to say its gorgeous! I love this tree – soft, pretty, happy. It’s like a daytime disco.